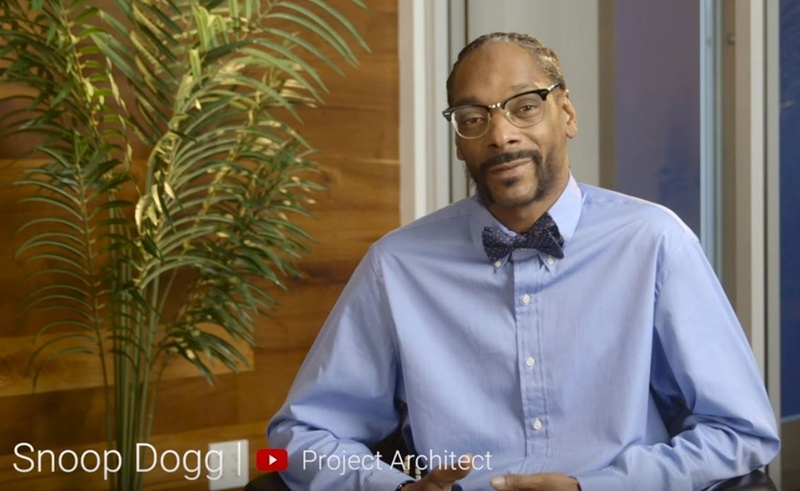 YouTube has dubbed the feature SnoopaVision, and says it won’t launch for decades. But today, a beta version has inserted a Snoop icon next to Settings on every YouTube video. Clicking the icon transports users to the prank’s landing page, where the rapper has watched 10 viral videos alongside other famous YouTubers, like Olga Kay and the Double Rainbow guy. You can check out his signature commentary in 360 degrees right here. Parent company Google is prank-happy every April Fools’ Day, and last year YouTube deployed a Darude – Sandstorm button that added the techno earworm to any video. Today, the company unveiled a plastic version of Google Cardboard, outfitted the orange peg from Google Maps in ’70s disco attire, and introduced a parachute delivery system for Google Express. Its latest ploy within Gmail, however, titled Gmail Mic Drop, was disabled earlier this morning amid a slew of complaints. The feature allowed Gmail users to have the last word over email, whereby they could deploy a GIF of a Minion dropping a microphone and subsequently end any email chain. However, many said the feature had gotten them in trouble at work.